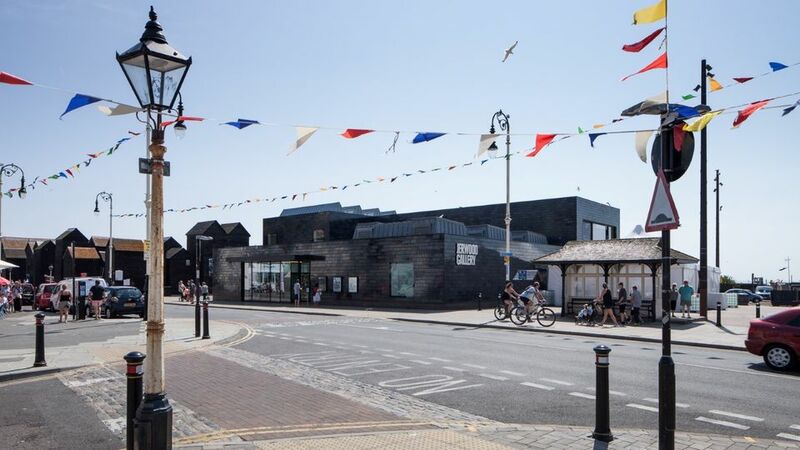 Jerwood Gallery in Hastings will reopen this summer as Hastings Contemporary, after parting ways with its main sponsor, the Jerwood Foundation. An anonymous donation of £250,000 has enabled the relaunch, which is due to take place on 6 July with a joint exhibition of works by the Copenhagen-based artist Tal R and the late British painter Roy Oxlade. The illustrator Quentin Blake will also present a series of new drawings. “We want to encourage new ways of looking, contrasting historic works with today’s artists, showing works in a range of media, and celebrating both national and international practitioners,” says Liz Gilmore, the gallery’s director. The Jerwood Foundation, a UK-based philanthropic organisation, had sponsored the gallery on England’s south coast since it opened in 2012, but announced plans to terminate the funding agreement by the end of this year. The gallery will be forced to give up the Jerwood Collection of almost 300 works of Modern and contemporary British art assembled by Alan Grieve, the foundation’s chairman, including pieces by Barbara Hepworth and Stanley Spencer. Despite the dispute, Gilmore maintains that: “We have been planning the transition for the past two years.” In 2017, the gallery became an independent charity and received a £400,000 grant from Arts Council England over four years. It will, however, remain a tenant of the Jerwood Foundation, which owns the £5m building on Hastings seafront. “The new arrangement means that we will double up our space for exhibitions. We’ll be able to host two shows simultaneously,” Gilmore adds. Artists Varda Caivano, Anne Ryan and Victor Willing have been announced for the future programme. Gilmore has meanwhile inspired Blake, who has a home in Hastings and became the gallery’s artist patron in March 2018, “to set about a new range of exploratory work that I might otherwise never have embarked on”, he says in a statement.